Biz addrbook change the display color of the contact group so that we can make intuitive judgment. You can set a contact group as a mail or meeting notification recipients. 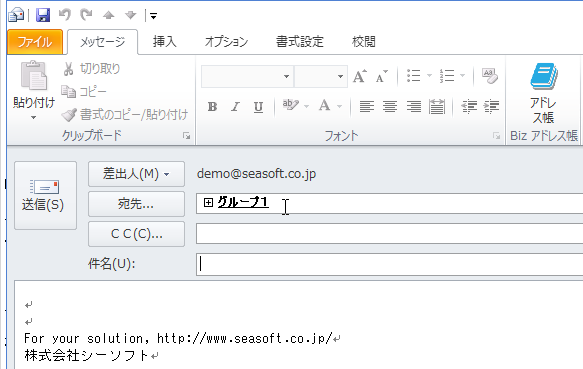 The contact group name is displayed in the address field of the outgoing mail form to which the destination is set. Click on the contact group on the outgoing mail form to expand the contact group's address. 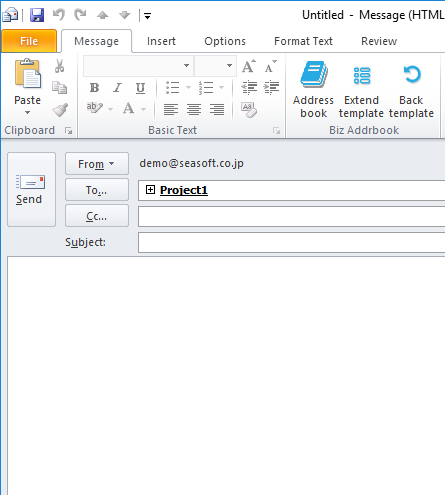 Executing "Property" with the contact group selected will display the Outlook contact edit form and you can edit the contents of the contact group. 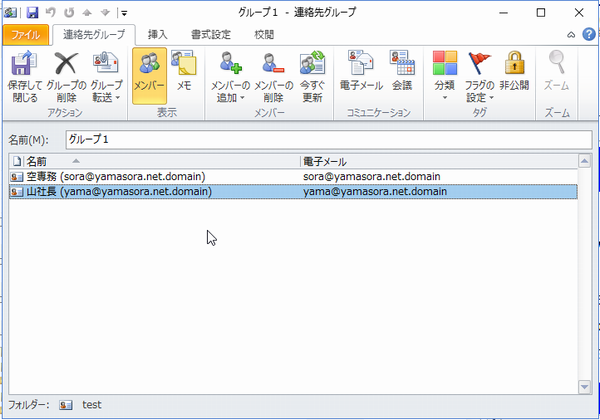 To delete a contact group, execute the "Delete contact" function.